(Natural News) Independent news organizations have become increasingly popular over the past decade. Using social media as an outreach, independent news outlets have been instrumental in influencing U.S. democracy and public opinion on world affairs. Independent news isn’t always 100 percent correct on every story, but readers and listeners are ultimately the ones who get to interpret the story, sort out fact from fiction, and make up their own minds. When President Donald Trump won the 2016 election, the corporate-run and globalist-controlled media was de-legitimized because it was apparent that independent news outlets and social media outreach was instrumental in influencing voter motivations and the outcome of the election. Since then, there has been an all-out effort to eradicate “fake news” from the internet to re-instate “official” media sources such as CNN, WashPo, MSNBC, and the NYTimes as the trustworthy sources. Now, media insiders Steven Brill, founder of Court TV, and Gordon Crovitz, publisher of the Wall Street Journal, are on a for-profit mission to eradicate “fake news” from the internet. Instead of using algorithms to censor specific topics (like Facebook does) these media insiders want to analyze, rate, and write out against independent media organizations to de-legitimize them. Their new venture, NewsGuard, seeks to restore trust in journalism by manipulating Internet users to trust their phony, biased rating system. NewsGuard’s advisors include well-connected political operatives, communications personnel, and former intelligence operatives. Among them are Tom Ridge, the first Secretary of Homeland Security (George W. Bush administration), who created the color-coded terrorist threat system, – the same system that is now hilariously being used as the benchmark for NewsGuard’s rating system for news sites. Advisors also include Don Baer, former White House Communications Director (Clinton administration), Michael Hayden, former Director of the CIA, former Director of the National Security Agency and former Principal Deputy Director of National Intelligence (George W. Bush administration). These people are not interested in journalism, but instead concerned about controlling public opinion on foreign interventions. Co-CEO Crovitz is a member of the Council on Foreign Relations and is an editor for the American Enterprise Institute and Heritage foundation, two neoconservative think tanks that promote forever wars. If they can control the news and eradicate dissenting sources of information, they can manipulate voter motivations and prop up who they want in positions of power. NewsGuard has already given red ratings to RT, which questions the motivations for U.S. involvement in the Middle East. NewsGuard is already trying to de-legitimize Wiki Leaks, the most highly respected source of intelligence in journalism. Not surprisingly, mainstream organizations such as CNN have already been rated very trustworthy, even though they are responsible for some of the most heinous disinformation campaigns. With its connection to Silicon Valley and intelligence officials, NewsGuard is lobbying to have its news ranking system installed by default on computers in U.S. schools, universities, and public libraries. When NewsGuard finishes a new site rating, all computers that have installed the browser plug-in will be automatically updated. Their goal is to control news and information for everyone, catering to official narratives that protect corporations and government officials from being held accountable to the people. In the end, NewsGuard is intended to be used by default on all smart phones and computers within the United States and abroad. What toxins are in the food and water supplies and how do they impact my health? What are the real reasons for going to war and fighting on multiple fronts in various countries? What chemicals are used in vaccines and how do I recognize vaccine injury? What does “climate change” really mean and why is geo-engineering considered a solution? What are agro-chemicals such as glyphosate and atrazine doing to human and environmental health? Independent media is more likely to explore the inefficiencies of government, its waste, fraud, and abuse. Independent media is more likely to call out corporations when their products and actions harm people and the environment. The mass purge of anti-establishment, anti-war, vaccine choice pages from Facebook and Twitter is just the beginning of mass manipulation of news and information across smart phones and computers. 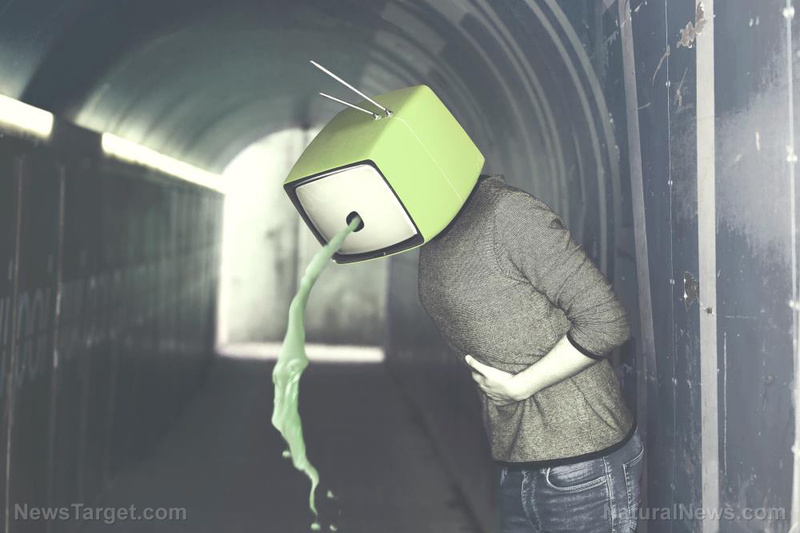 The most influential independent media outlets that expose wrongdoing in the private and public sectors are the target of U.S. oligarchs, corporate leaders, political bosses, and neoconservative war-mongers, as those in power attempt to control the narrative. For more on attempts to control information, visit Censorship.News.